Order now and receive free freight! 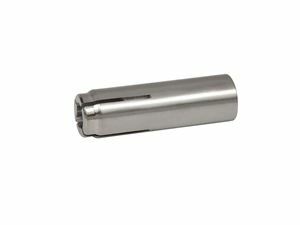 Every CONFAST® 304 Stainless Steel Drop-In Anchor is in stock for immediate shipping. The CONFAST® 304 Stainless Steel Drop-In Anchor should only be installed into concrete. They are not designed for and should never be used in block or brick. Not available in 5/16", 7/8" or 1"
Each CONFAST® 304 Stainless Steel Drop-In Anchor must be set in concrete using a setting tool designated for that specific anchor. This list includes the CONFAST® 304 Stainless Steel Drop-In Anchor from smallest to largest. Click on the blue link and go to the individual product page for that specific item.